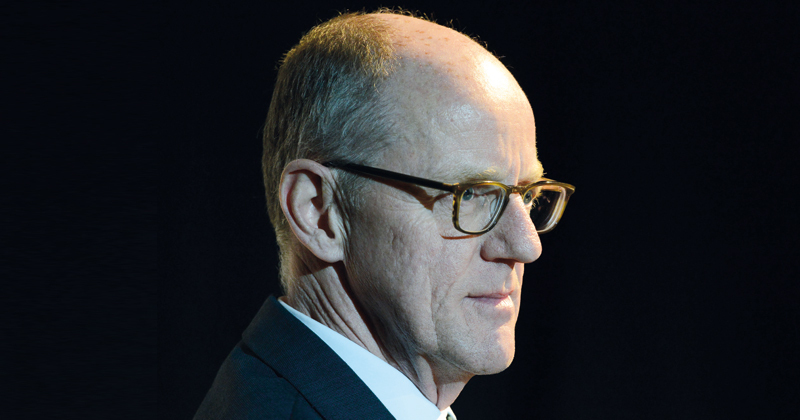 ﻿ Is Nick Gibb to blame for functional skills reform? Is Gibb to blame for functional skills reform? The government, apparently under the influence of the schools minster Nick Gibb, is ploughing ahead with reforms to functional skills in English that run contrary to the advice it has received. The public consultation on reforming the English and numeracy qualifications, which are set to be introduced in September 2019, opened earlier this week, but even the people tasked with developing this content appear to disagree with the proposals. The qualifications were developed by the Education and Training Foundation on behalf of the Department for Education, following a year-long consultation with employers, providers, practitioners and learners. But some of those involved in that earlier consultation have told FE Week that their views – and those of other experts – have been roundly ignored, while there has been general dismay at the minister’s insistence that phonics be included. Unusually, even the ETF has hinted that it’s not happy with what’s now being consulted on. “We recognise that the DfE has proposed some changes and additions to the content that we submitted to them last year, which is why it is important that as many people as possible submit their views,” a spokesperson said. This sentiment was echoed by Stephen Evans, the chief executive of the Learning and Work Institute, which was contracted by the ETF in partnership with Pye Tait Consulting to work on the reforms. He told FE Week that functional skills would only be successful “if practitioners, providers, and learners are listened to”. The addition of phonics – a method of teaching reading that involves sounding out words – into the proposed English content is almost certainly the work of the DfE. Mr Gibb has long been a passionate advocate of the approach, but not everyone agrees with him. Jill Stokoe, an education policy adviser with the National Education Union, was part of the ETF’s functional skills expert advisory group, and told FE Week that it was “absurd and bewildering that a phonics curriculum is proposed”. Many people taking functional skills have additional needs or learning disabilities, and she believes phonics is “not often an appropriate pedagogical approach” for them. The DfE’s current recommendations are “worryingly at odds” with the conclusions reached by Ofqual in a review it carried out in 2015. That review, the first since functional skills were introduced in 2010, was “clear that the qualifications were not fundamentally flawed”, she pointed out. “Although the functional skills qualifications weren’t broken before, if these proposals are accepted in their current form, they certainly will be,” she warned. Mike Ellicock, the chief executive of National Numeracy, a charity that works to improve adult and child numeracy, also took part in the ETF consultation. He told FE Week that he was unhappy with both the proposed subject content and the way it had been developed. “After a muddled, opaque process and then a long delay, it would appear that the focus on functionality has been lost and we now have an atomised tick-list of skills,” which he warned could risk “functional skills maths being the least functional of any maths curricula”. I agree with this article entirely! I too, was involved in the initial development of the new FS qualifications. I cannot remember how many times myself and the majority of the people involved, emphatically disagreed with a focus on phonics with 14+ learners. It is not suitable and most post 14 learners find it childish, degrading and does little to build their already fragile confidence. How on earth do they think it will work in real life work situations? Very very disturbed and disheartened. CORRECTION : the ETF has not “hinted that it’s not happy with what’s now being consulted on”. We are pointing out that since the consultation that ETF ran there have been further changes made by DfE so it’s important that people also take this new consultation seriously, as it has additions and changes in it. i.e. it’s not just the same material again out for consultation, so it’s important that the consultation gets attention and gathers views and responses. I’m not at all surprised by news that phonics is being proposed for inclusion in the new curriculum. I’m not surprised because it makes perfect sense for those entry-level students who can’t read and write. The opposition expressed by Jill Stokoe and Mike Ellicock constitutes the usual ideological scepticism expressed by people whose linguistic knowledge is limited. Here are some facts: The English writing system is based on the 44 or so sounds of the English language. It is the most complex alphabetic writing system in the world and, as such, has often, in schools, been taught so badly that many students emerge from our education system totally illiterate, or with very poor functional reading and spelling skills. The writing system is a code for the sounds in speech. We learn the sounds in speech naturally; we don’t learn the human invention that is the writing system. It needs to be taught and taught properly.Taught properly, phonics provides the learner with a clear understanding of how the alphabet code works in relation to the sounds of the English language; it teaches the skills required to access it; and, it teaches the sound-spelling correspondences needed to be able to read and write any word in the language. If ALL words in English are comprised of sounds and all the sounds have, at some point in time, been assigned spellings, phonics is not only a totally logical means of instruction, it is the only one to employ for the group of learners for which it is being proposed. I cannot comprehend how there would be any objection to phonics as a teaching tool for those at the bottom rung of the ladder – e.g. pre-entry/E1. It’s what the sector has been crying out for! I couldn’t agree with you more John Walker. In fact, I have already made relationships with local primary schools and some of my ESOL and literacy teachers are going to go and shadow phonics sessions in practice – even without the reforms being approved. I urge others to do the same as this will only benefit learners in the long run.